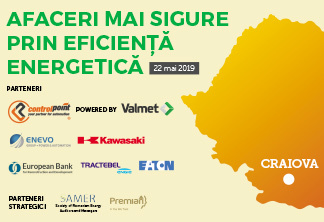 Tuesday, on July 2, from 9 am, energynomics.ro organizes in Timișoara the fifth event of the year dedicated to Energy Efficiency: “Energy Efficiency – Sustainable Consumption through Automation, Monitoring and Control”, part of energynomics.ro communication campaign “Energy Efficiency for big results”. The event aims to raise awareness and understanding of what it is and how to improve energy efficiency. For this, we aim to inform interested companies and end-users, including local public authorities, about the real and tangible benefits of reducing energy consumption. This conference is organized by energynomics.ro with the support of our partners. Interested to participate? Send us an e-mail at office @ energynomics.ro or give us a call: 021 230 20 22! 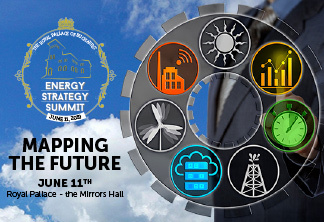 We will invite over 100 experts from the energy sector, decision makers in the Romanian public authorities and companies – from Start-Ups and SMEs to the largest enterprises, interested in subject matters such as: legislation and regulation in energy efficiency, financing for energy efficiency projects and support for public authorities and SMEs. Between February and November 2019 we scheduled seven conferences aimed to highlight the need for and the benefits of implementing energy audits, with examples of actions and technologies for increased energy efficiency. Find out more about the first two communication campaigns for Energy Efficiency we run in 2017 and 2018!